A 16-year old Edmonton boy pleaded guilty to manslaughter Monday for his role in the killing of a Mac’s convenience store worker almost three years ago. The teen, who can only be identified by his initials G.S., was 13 the night Karanpal Bhangu was shot and killed while working alone the store. Forty minutes after the first killing, on Dec. 18, 2015, the same masked and armed trio walked into another Mac’s store, where Ricky Cenabre was working alone. Surveillance video shows that robbery ended with the 41-year-old fatally shot in the back. G.S. is charged with Cenabre’s first-degree murder. He pleaded not guilty to that charge, but entered guilty pleas on four other counts, including robbery while using a prohibited or restricted weapon and wearing a mask or disguise to commit an offence. In June, co-accused Laylin Delorme was found guilty on two counts of first-degree murder in the case. He will be sentenced in December. The third man charged, Colton Steinhauer, faces a double first-degree murder trial scheduled for next April. According to an agreed statement of facts entered in Edmonton Court of Queen’s Bench on Monday, G.S. admits he was one of the masked males involved in the two robberies that night. That night he wore white sneakers, blue jeans, a black hooded jacket and a white shirt. He had the hood up, his face covered by a white cloth and carried a blue gym bag. The agreed statement of facts noted that DNA testing on a glove seized from the scene was a match to G.S. Surveillance videos of the two robberies and shootings were played in court Monday. G.S. showed no reaction from the prisoner’s box. Cenabre’s widow, Editha Alcazaren, sat in the front row of the courtroom gallery with her hands clutched together in her lap. At times, she held a scarf up to her face to muffle her sobs and to cover and wipe her eyes. Before the fatal gunshot was shown, she bolted from the courtroom. 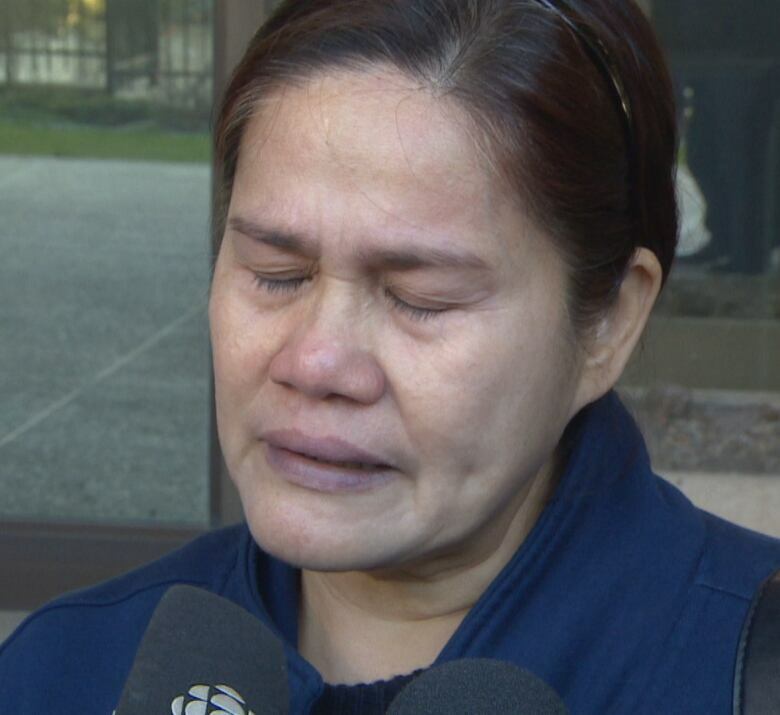 Outside court, Faith Alcazaren said Monday was the first time her aunt had seen the video. She said her aunt and Cenabre had been together for 23 years. In 2011, Cenabre moved to Canada from the Philippines to earn money to send home. He was also paving the way for permanent residency status. 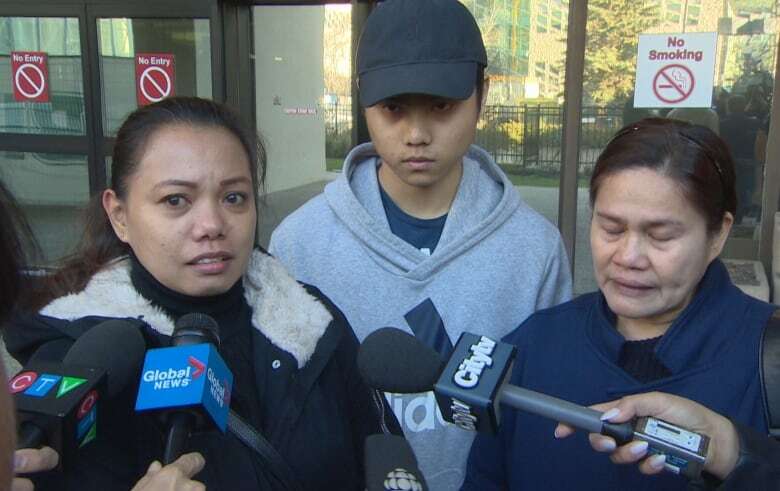 Faith Alcazaren said her uncle planned to return to the Philippines in April 2016, get married and bring his wife and son back to Canada. He was murdered in December 2015. 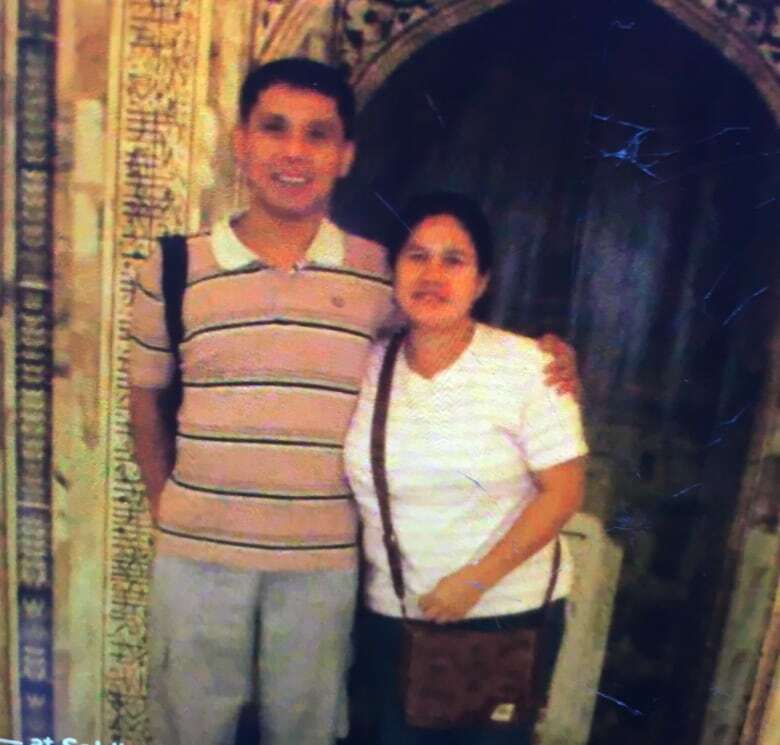 His body was returned to the Philippines the next month. The family has been in Canada for almost two years on tourist visas. They are determined to stay in the country at least until the conclusion of Steinhauer’s trial next spring. She said the family has launched a civil lawsuit against Cenabre’s employer, but has not received any assistance from the provincial victim’s compensation fund. The trial for G.S. continues Tuesday.